Johanna Konta has reached her highest career ranking of 18, the first British woman to break into the top 20 since Jo Durie in 1983. 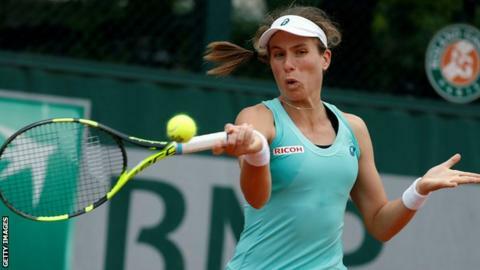 The British number one moved up three places despite losing to German Julia Goerges in the French Open first round. Durie, who won two WTA singles titles in 1983, achieved a career-high ranking of five a year later. Konta, 25, faces American Victoria Duval in the first round of the Nottingham Open on Monday at 12:00 BST.